48 kHz or 96 kHz and 24 bit digital archival masters require a lot of storage space. This need for storage space is increased if lower quality user copies are also kept on-line. In some cases, mp3-quality may be enough but users usually want CD-quality copies. Especially if access copies are kept on-line, lower quality sound files are needed. In some cases mp3-quality may be enough, and many times users want CD-quality copies. Additionally it might be necessary to restructure material for access. All relevant changes should be made either on the basis of metadata (e.g. creating markers) or on the basis of a (second) access copy (e.g. re-editing of items that were physically stored on different carriers, like movements of a symphony on several different records). Convert sampling frequency and bit dept as needed for user copies. For instance, convert MP3 files, and convert and burn audio CDs. 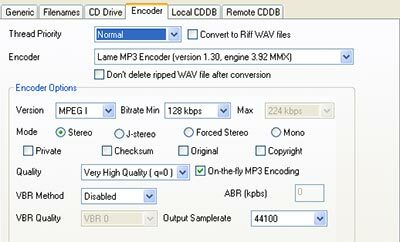 For MP3 access copies, a minimum data rate of 128 kB/s is recommended, with the MP3 encoder set to “maximum quality”. Restructure the material by adding markers and metadata.